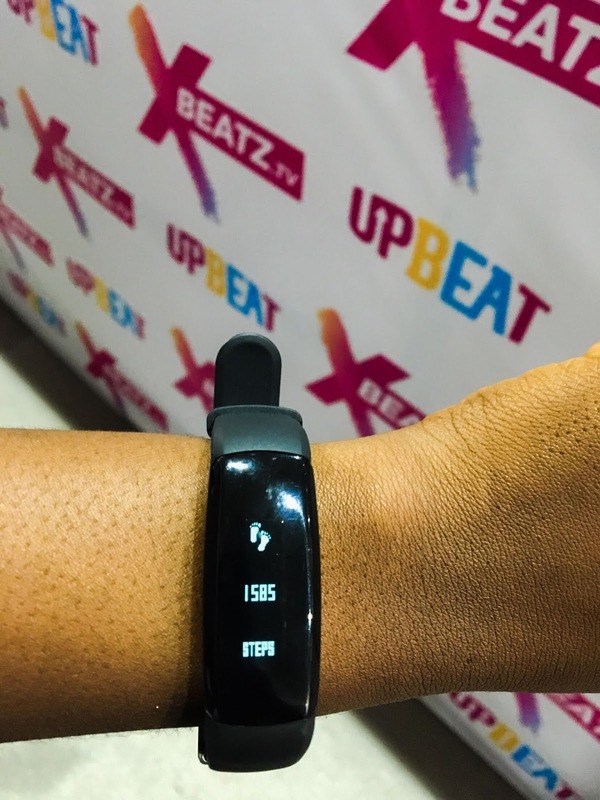 Lade's Blog: All The Way Up at UPBEAT CENTRE, Lagos | Review! 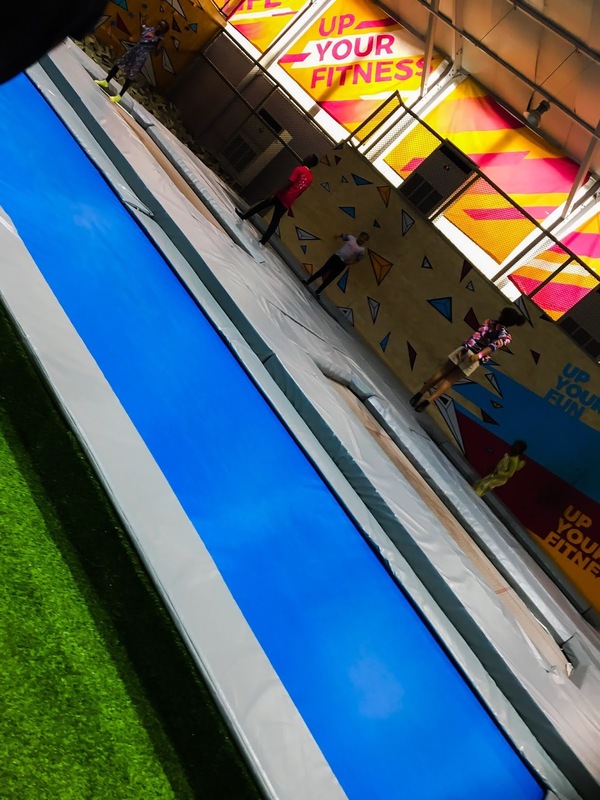 All The Way Up at UPBEAT CENTRE, Lagos | Review! I sincerely don't know why I have hoarded this post for so long, but hey, better late than never right. You guys won't even imagine the number of posts I have lined up in my draft or off my head that I haven't even pushed out yet cos of time. But I plan to publish them before the year runs out. So help me God. 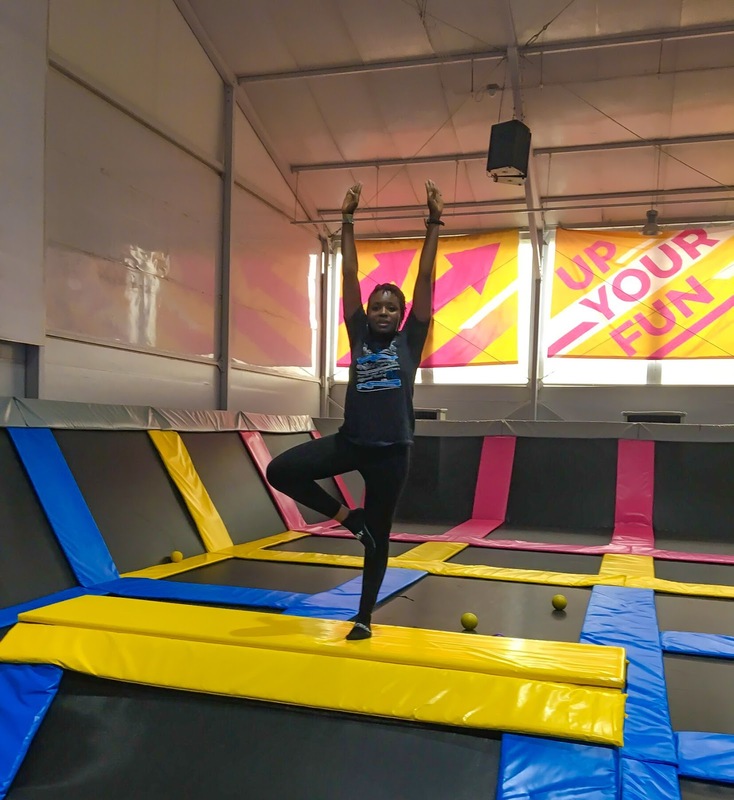 So today's post is about this new Trampoline park in Lagos called THE UPBEAT CENTRE. 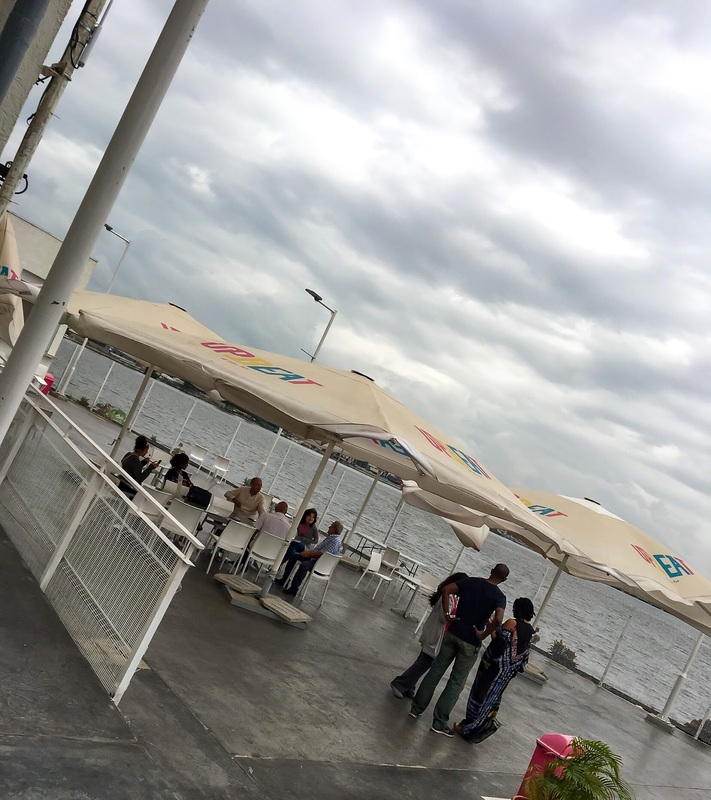 As the name implies, the place is very upbeat and full of energy. 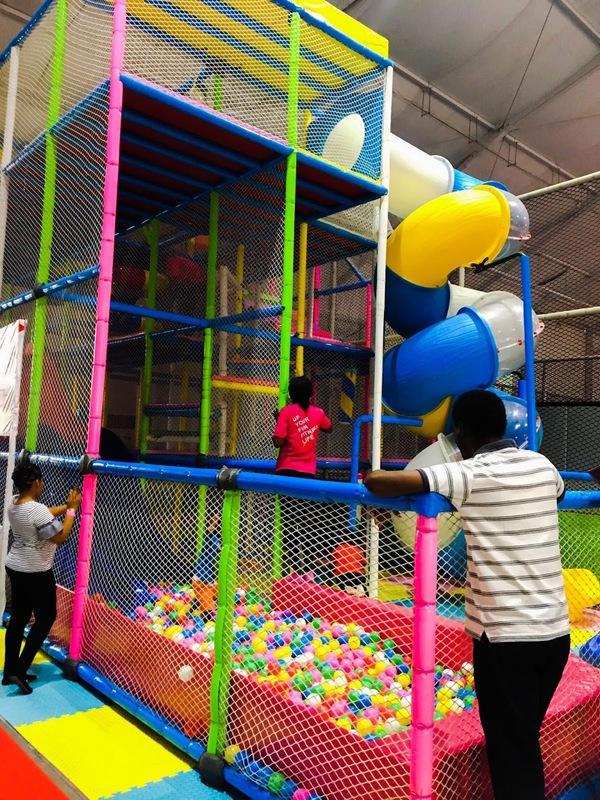 At first sight, you might think this place is for kids, but don't be deceived guys. It's for everyone. 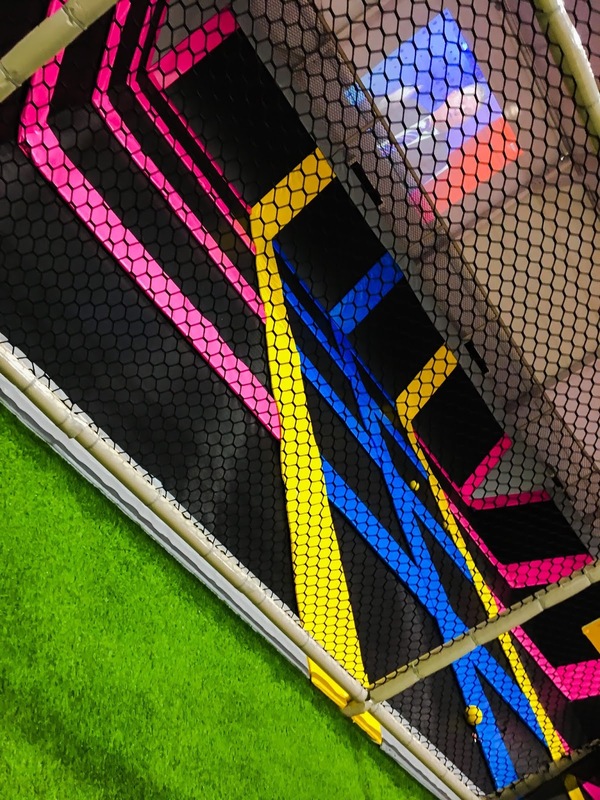 It's a good place for a generous mix of fun and fitness. 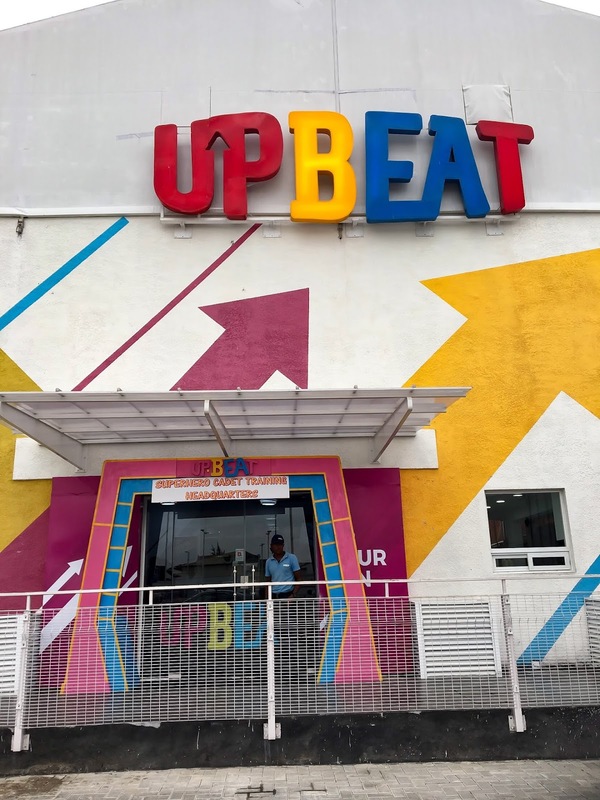 The Upbeat Centre is located at 11, Admiralty Rd, Lekki Phase 1, Lagos. 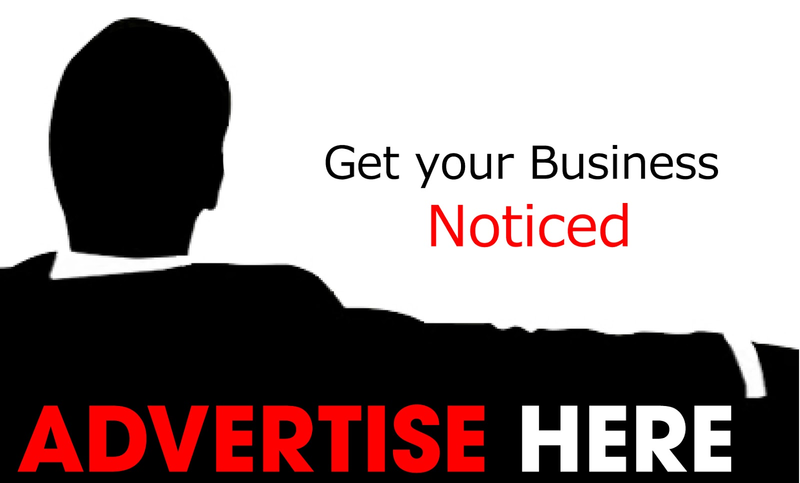 And is very easy to locate via google maps or simply asking around. It has a huge sign on the entrance that cannot be missed. Food courts including an outdoor court that overlooks the ocean, ample parking space, and nice staff (this is very important). 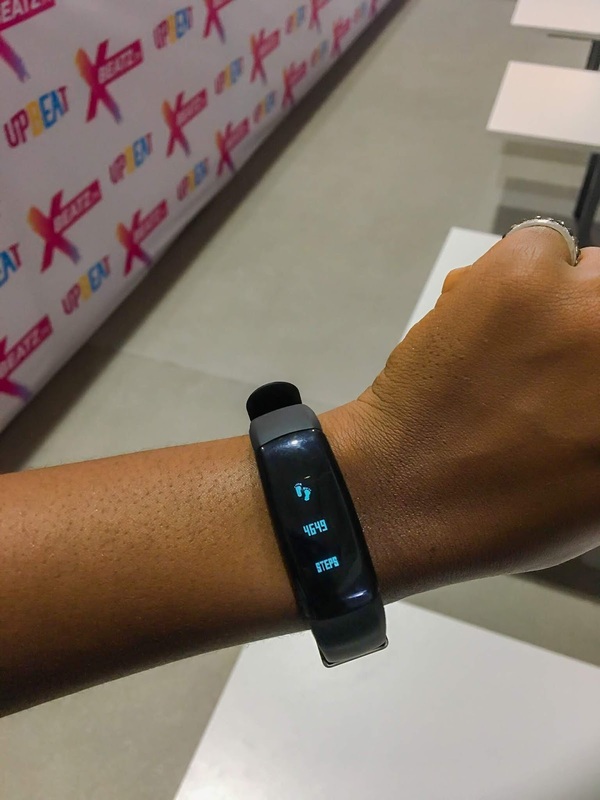 The least amount of time you can pay for is 1 hour and that costs N3000. 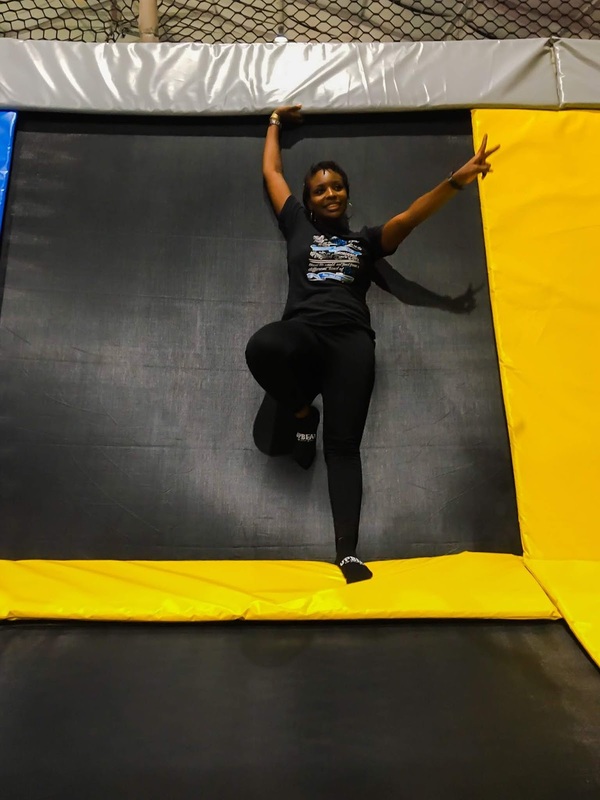 What this means is that you have 1 hour to use the trampoline facilities and just be a child. 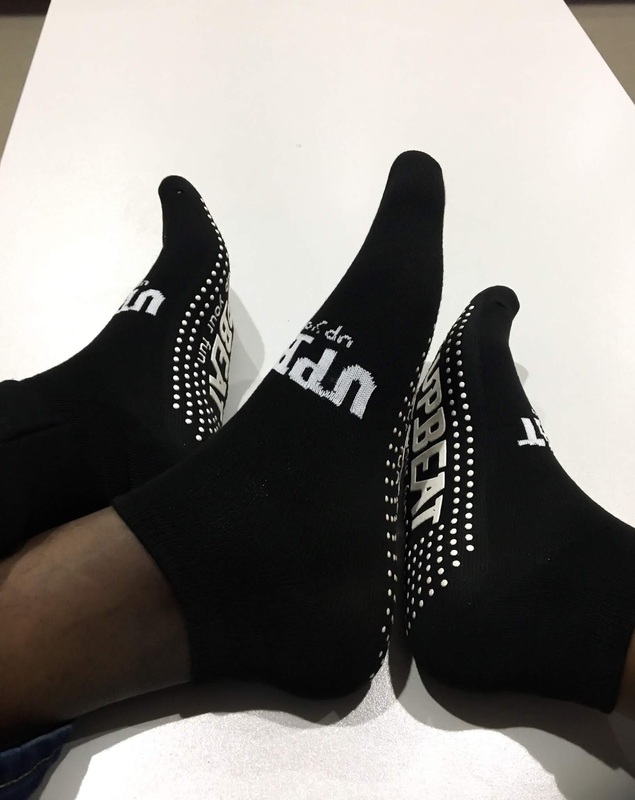 If you are a first-timer, you'll have to pay N500 extra for the socks. And No, you cannot bring your own socks. 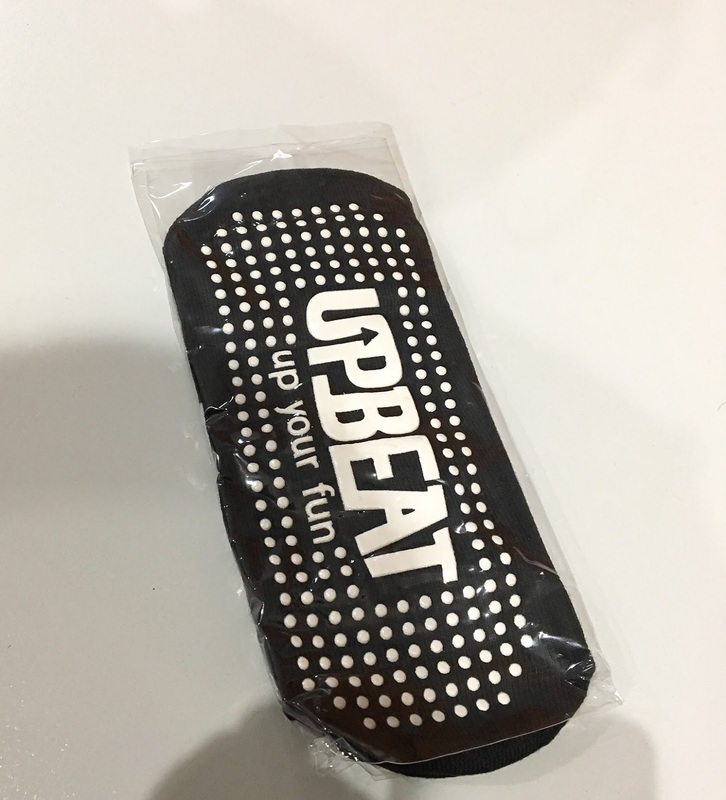 It has to to be the Upbeat socks because it has some things on the bottom that helps with friction. 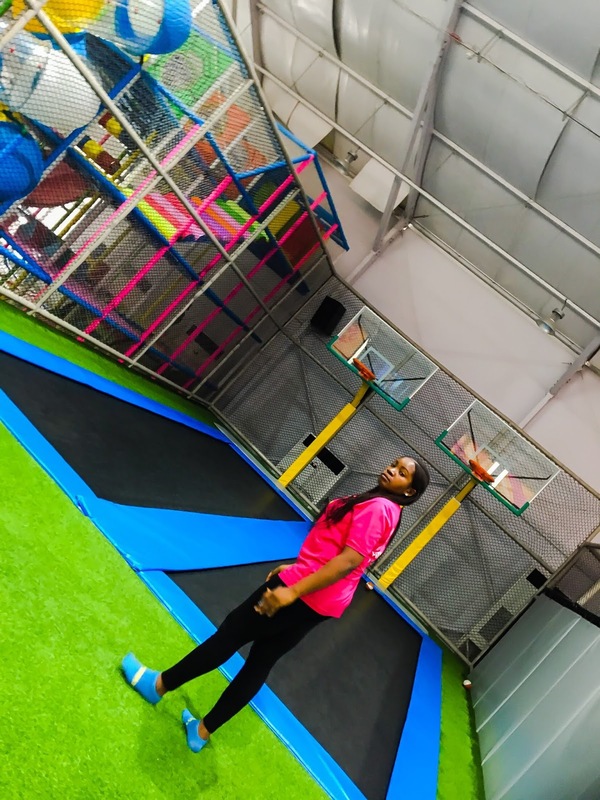 Once all you are done with all the payment/admin stuff, you are then guided to a room where the staff go through all the in-house rules and general information you might need while using the facilities. 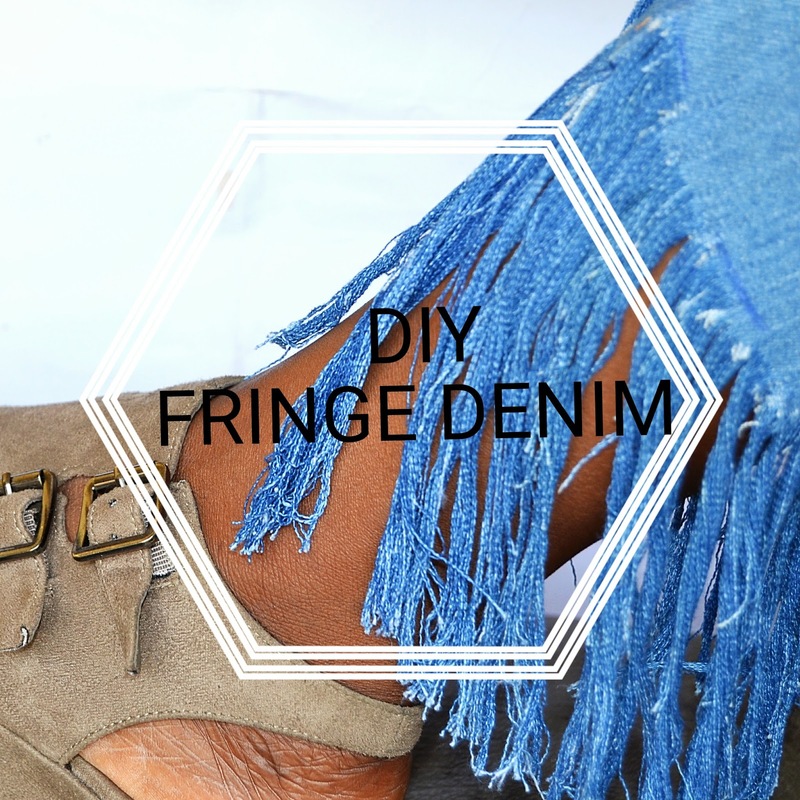 You will also be shown some helpful videos. Then you are assigned lockers to keep your personal effects because they are not allowed in the court. The only thing you are allowed to go in with is your phone (NO DSLRs allowed). NO surprise there. Whoop whoop. This is why we are here!!! 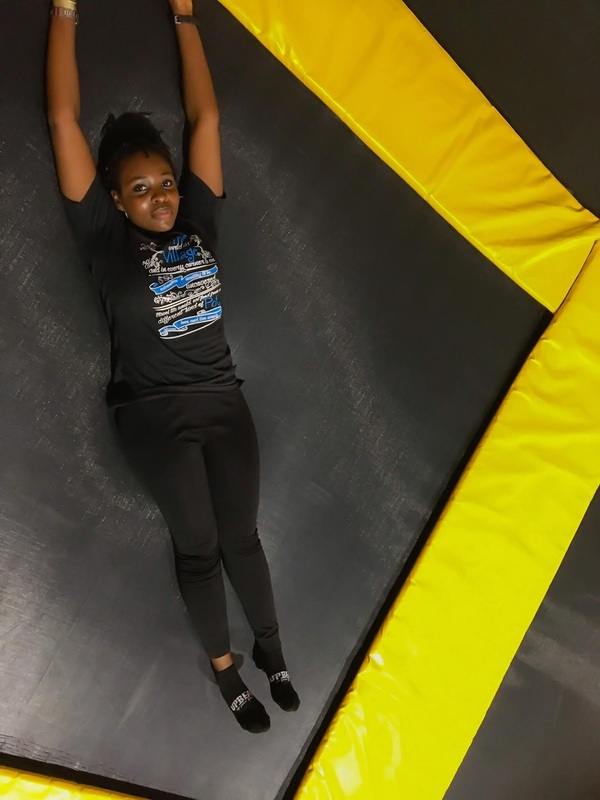 First off, you go through about 15 minutes of trampoline aerobics which includes trampoline dodgeball, free jumping, and some Zumba moves. 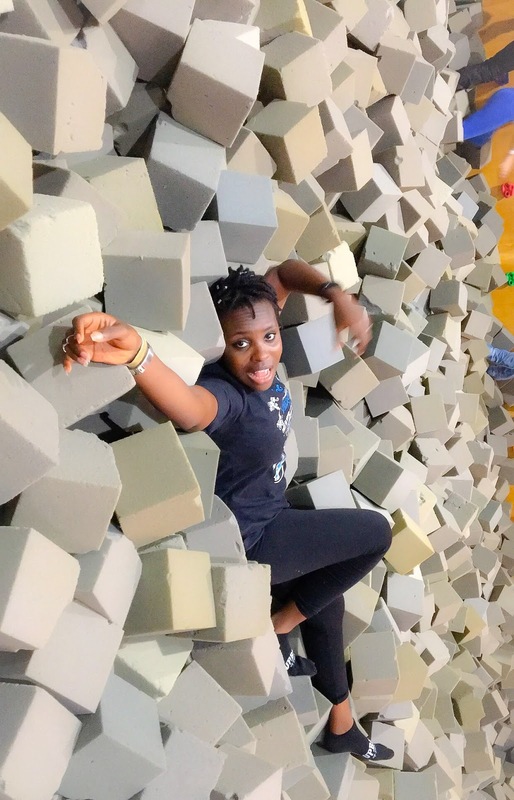 After the general class, then you are free to use any of the facilities including the foam pit (I had to gather muscle to do this), the tumble track, trampoline basketball, wall climbing and many more. I loved every bit of my visit and I'll be going back there before the year runs out. I also want them to review their no-camera policy, please. I need fire pictures of my jump that a phone cannot give me. Plis dears. 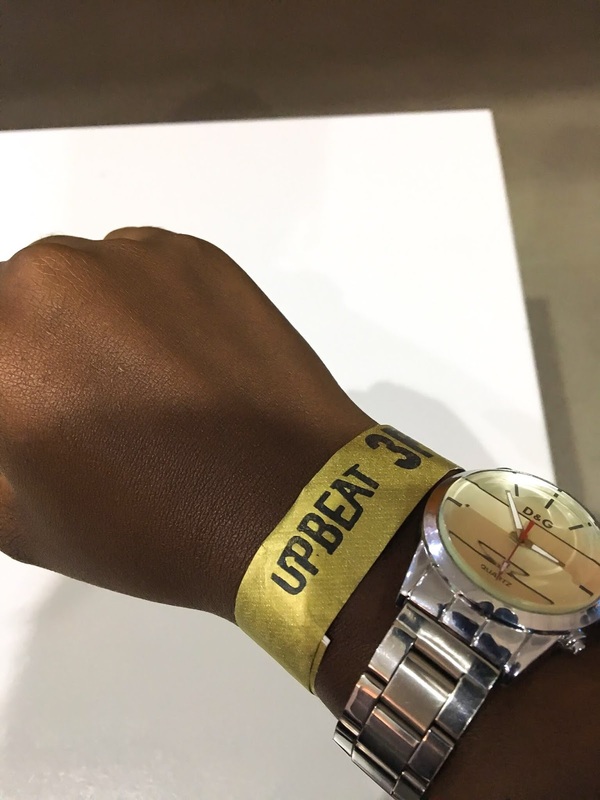 Have you ever visited the Upbeat centre? 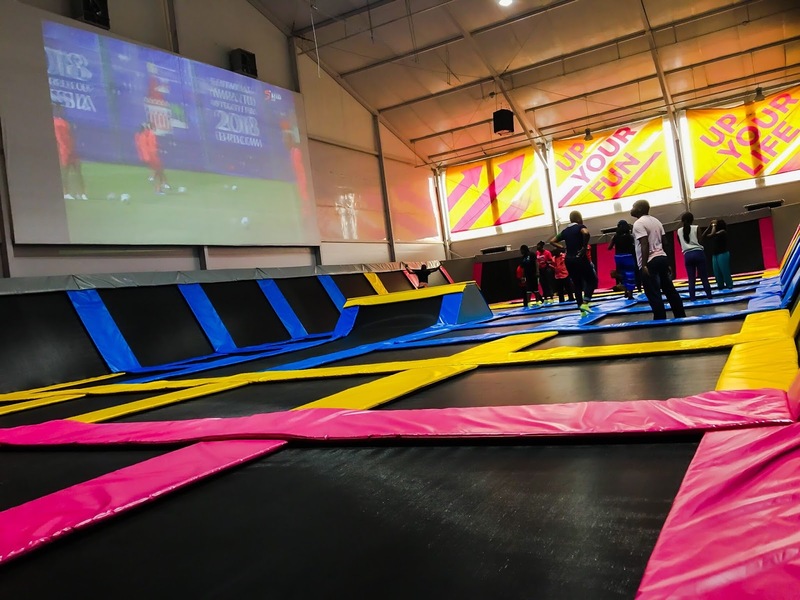 are there other places like this in Nigeria? Let me know in the comment section.